A brutal spell from Neil Wagner produced three wickets and a broken arm as the hosts romped to a 240-run victory. The New Zealanders congratulated themselves on a smart plan as they decimated the West Indies with a day to spare in the second test to sweep the series 2-0 on Tuesday. The tourists struggled to cope in their second innings against New Zealand's three-pronged fast bowling attack at Seddon Park in Hamilton, particularly against a barrage of bouncers from Neil Wagner. The West Indies, set a target of 444 to win after losing the first test by an innings, folded at 203 for 9 with the injured Sunil Ambris unable to continue batting. Wagner, who tormented the West Indies throughout the series with his aggressive short balls, took 3 for 42 while new-ball pair Tim Southee and Trent Boult grabbed two wickets apiece, as did spinner Mitchell Santner. The victory improved New Zealand's home record to 13 wins, three losses and seven draws in its last 10 home series. 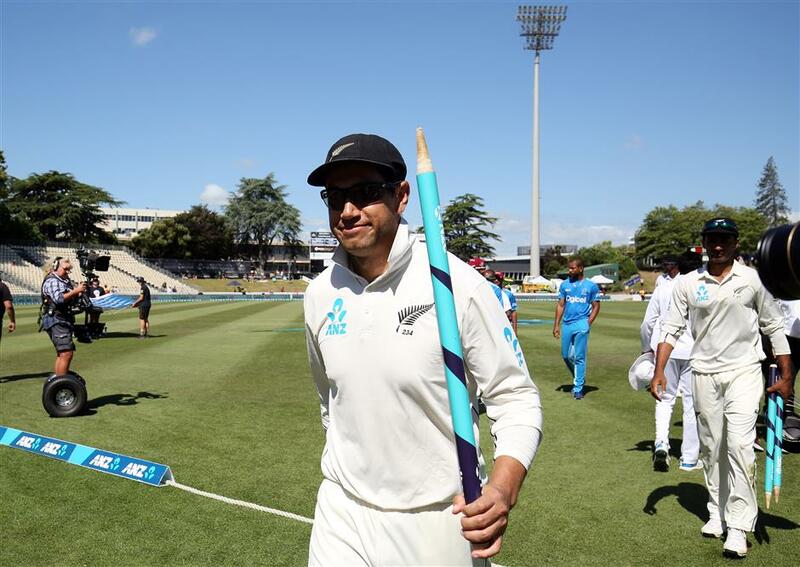 Ross Taylor of New Zealand leaves the field at the end of play during the fourth day of the second test against the West Indies at Seddon Park in Hamilton, New Zealand, on December 12, 2017. Roston Chase and Raymon Reifer manufactured a solid 78-run partnership until Chase, on 64, went in similar fashion to Hope, pulling a Wagner bouncer to the safe hands of Colin de Grandhomme.